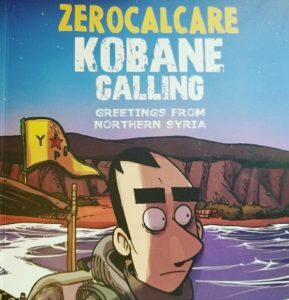 A graphic art non-fiction account of the artists visit to Northern Syria / Rojava (Kurds) and first hand account of his impressions on the factions currently at war. I don’t accept the stories as gospel, because there is simply too much confusion and propaganda on all sides. But I do accept these stories as his experiences and will continue to dig deeper into this crazy abyss that currently has so many nations in a sort of proxy war over this area. It was fascinating and, if true, heartbreaking. Definitely worth taking a look at.